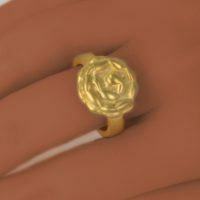 Timeless 1/2″ round gold ring with 1/8” wide band. 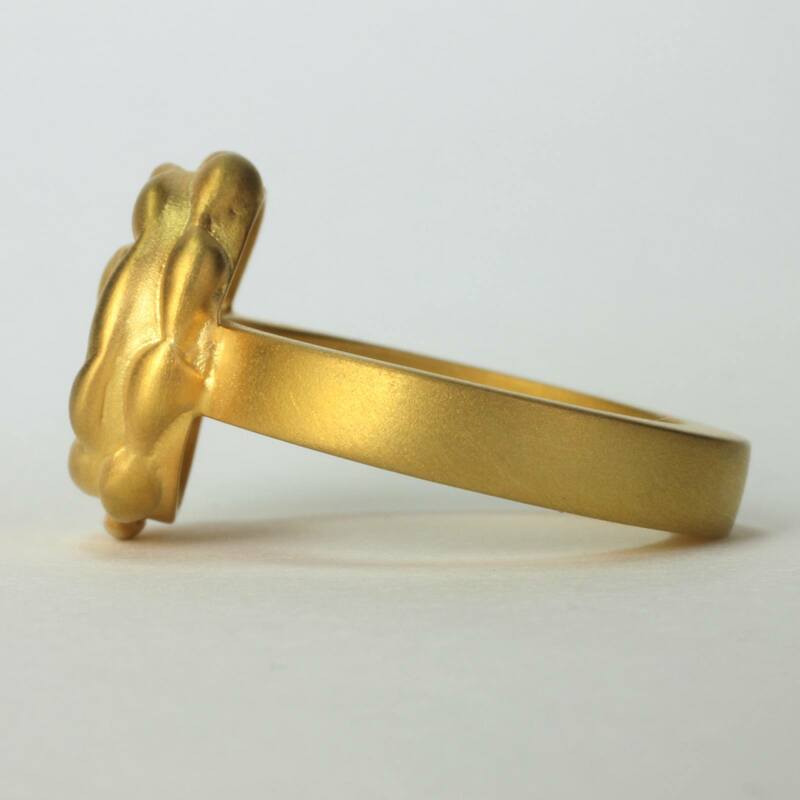 Available in 14k or 18k yellow gold. 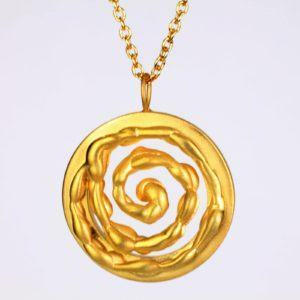 A sweet little rosette for day or night. 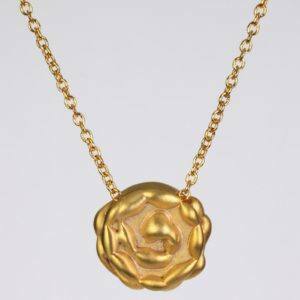 Sophisticated 1/2″ round jewel with depth, and all metal gold design. Made for a queen, and glows beautifully on all skin tones. 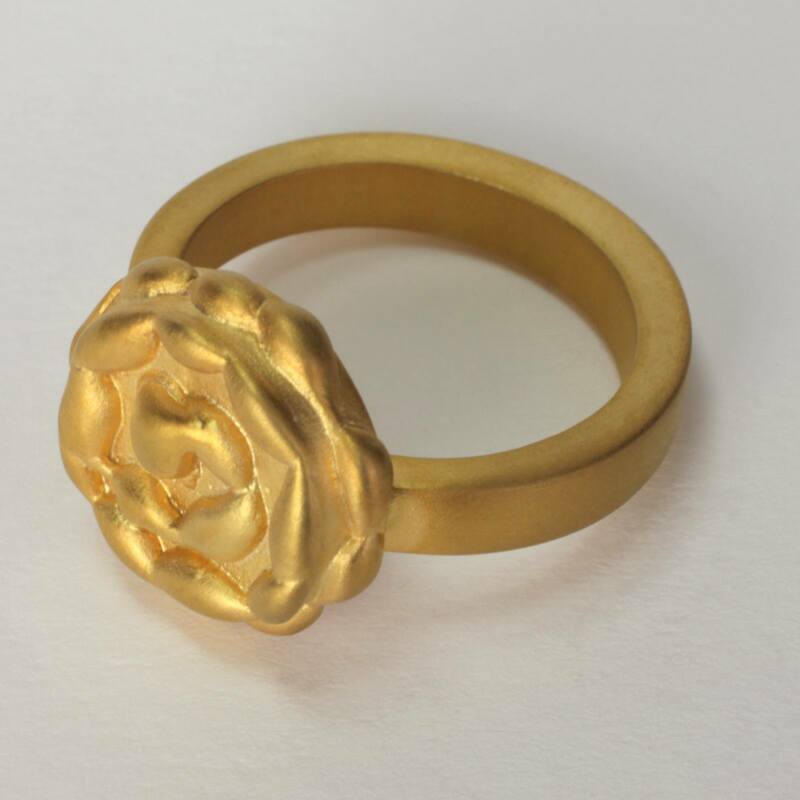 The gold humility rosette ring is an elegant cocktail ring that resembles a rose. This versatile gold ring can be coordinated with the matching gold earrings or necklace, as a beautiful jewelry set. Or the humility rosette gold ring is also radiantly perfect by itself because of its unique design. This stunning statement ring will look beautiful on your hand in 14k or 18k gold. The humility rosette cocktail ring is handcrafted using the lost wax technique, and this all-metal design either in 18k or 14k gold was created with a semi wide band and intricate rosette. 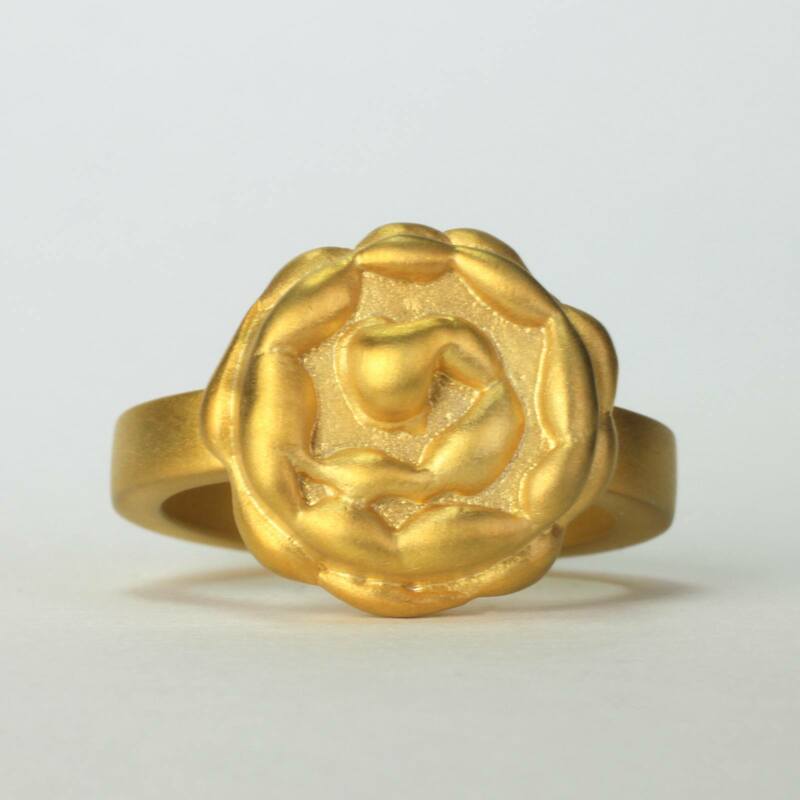 This fine jewelry is a great gift idea for you or as a romantic gift idea for her. 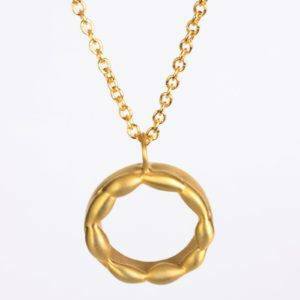 EzzyKaia, a local NYC jewelry designer, creates this contemporary 14k and 18k fine jewelry collection. 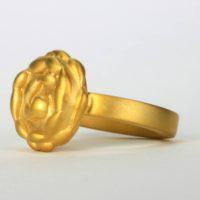 Let EzzyKaia assist you in selecting the best gift when celebrating a special occasion with your love one. Choose this unusual gold cocktail ring in 14k or 18k gold as an expression of your love that will last the test of time. This fine jewel is stamped with the designer’s logo, and karat amount either in 18k or 14k gold. 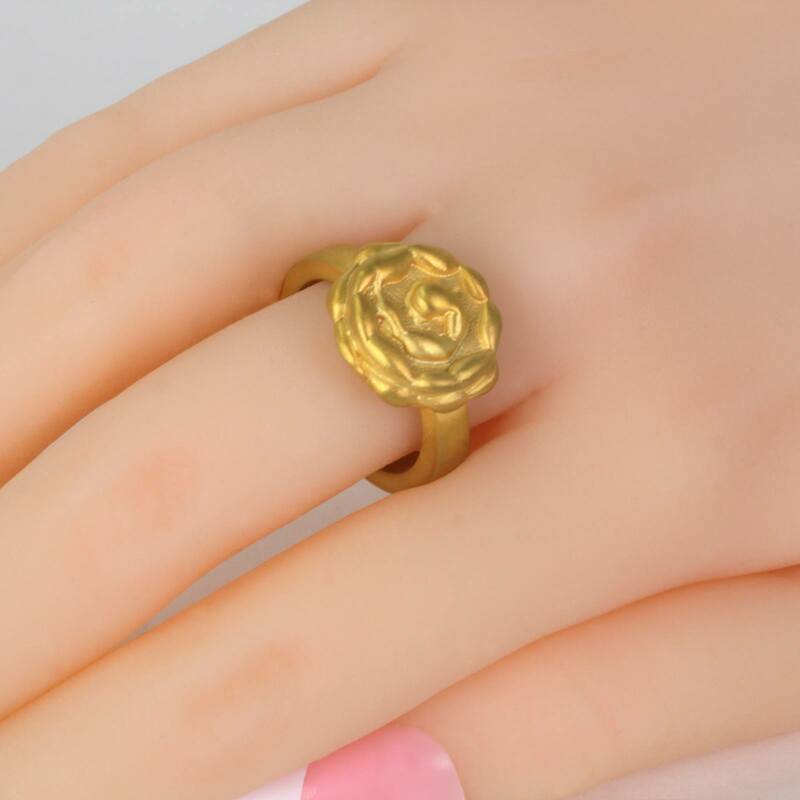 Our beautiful gold rings are unique and no two pieces are alike. 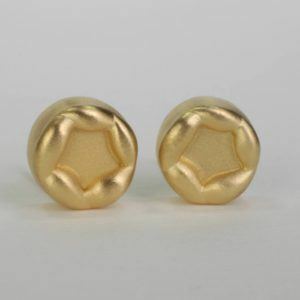 Free shipping is available within the USA, and securely shipped with FedEx. For your convenience gift-wrap is also available.